Origin of inspire: Breathe into. From Latin inspirare ‘breathe or blow into’. The Message bible says, ‘The main thing to keep in mind here is that no prophecy of Scripture is a matter of private opinion. And why? Because it’s not something concocted in the human heart. 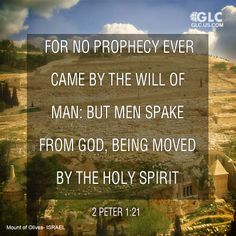 Prophecy resulted when the Holy Spirit prompted men and women to speak God’s Word.’. 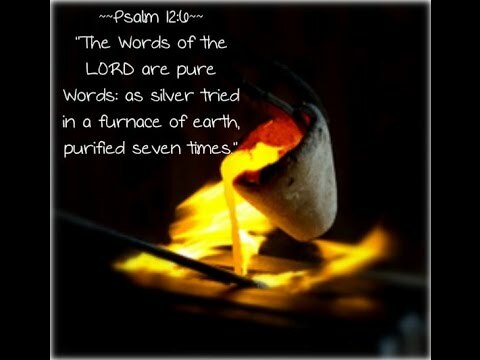 This is why God’s word is infallible, it is fireproof and perfect because God is perfect and holy. Yes, human beings are imperfect and we are definitely sinners; but when a true woman or man of God, especially in the old testament before Grace- God played no games. God did not wink at sin, or any form of uncleanliness. If a priest came into the tabernacle to offer an offering in sacrifice and was found impure by God, he would literally drop dead before His presence. It was impossible that some man came up with the things that have been revealed by the spirit of God. The word of God, the prophecies and revelation never came by human impulse! Some people do not read the bible, saying that it was written by man. But this is not true: God inspired these human instruments to speak through, by the Holy Spirit. The apostle Paul wrote to young pastor Timothy, that the scriptures were infallible. This means that the bible has no errors, even if mistakes can be found in the translations from original texts. When the bible was written, the writers were incapable of making errors. Lord Jesus, increase anybody’s faith that may be struggling with the faithfulness and verity of your word. I pray for conviction, revelation and proving of your word in each of our lives. May we not contend over disagreements according to opinion, but by having the certainty and experience to give a sure witness of the scriptures. May we live according to sound doctrine, and not fables or philosophy. In Jesus name, Amen.